Specialized in developing technology for energy and natural resources applications, mechanical engineer and analyst Drew Cohen joined Czero in spring of 2014. Drew earned his bachelor’s in mechanical engineering at California Polytechnic State University – San Luis Obispo, during and after which he gained considerable on-the-ground engineering experience through a diverse series of internships and field projects for Alliance Power, iDE (International Development Enterprises), Engineers Without Borders and The Jack Ranch. An avid adventurer, in both work and recreation, Drew’s career thus far has taken him from the Colorado plains to the fields of rural Thailand to the remote seas of Alaska. Since joining our team, Drew has worked on numerous projects including developing mechanical drive systems; designing malt-processing equipment used in breweries; developing hydraulic, electrical, and thermal systems for subsea applications; designing equipment-handling and operations-support systems for the oil and gas industry; and modeling a next-generation anchoring system for ocean vessels in the fleet of Helix ESG, one of the world’s largest companies in subsea contracting and offshore oil and gas well interventions. In previous work for international non-profit iDE, Drew performed analysis on both pumps and solar power systems used in energy, agriculture and water projects in South America, Africa and Asia. In addition to analyzing the performance of photovoltaic pumping installations, he helped develop, prototype and deliver water management tools for small plot farmers involved in test projects. As a technical project lead for the Cal Poly chapter of Engineers without Borders, the world’s leading chapter at the time, Drew oversaw teams of up to 20 students working on projects ranging from commercial-scale compost generation to water processing to hydroelectric power generation. He also lead technical assessments of future projects aimed to improve the health, wellbeing and independence of people in agricultural communities worldwide. 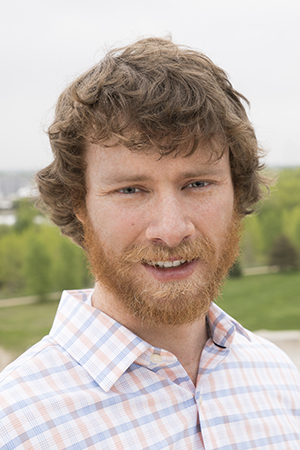 As a multi-year Energy Development intern at Alliance Power, Drew performed extensive ecological assessments of wind turbine sites and transmission pathways for the 91 mW wind-power generation facility in Sterling, Colorado. He also researched mechanical, biological and chemical systems for storage of wind power during off-peak times. During the 2010 season, Drew worked as an equipment operator and vessel assistant for a commercial salmon fishing operation in Alaska, gaining first hand-experience in one of the world’s most demanding jobs. In heavily physical, fast-paced shifts as long as 22 hours during the peak of the season, he operated industrial hydraulic and electrical equipment, piloted the boats, assisted with mechanical repairs, and performed fish intake and deck management duties. Drew’s hands-on experience in different field settings—ranging from GPS data collection at wind turbine sites in Colorado to working directly in farming communities in Thailand to operating industrial equipment aboard a commercial fishing vessel in Alaska—has given him valuable insights on the practical and cultural realities of implementing new technologies.